RBTH presents a selection of views from leading Russian media on international events, featuring reports on the disputes over election dates in Ukraine, the enunciation of a new military strategy by the U.S. and the potential for rapprochement between the U.S. and Venezuela. The centrist newspaper Nezavisimaya Gazeta writes that Alexander Zakharchenko, the leader of the self-proclaimed Donetsk People’s Republic (DNR), has set October 18 as the election date for the local government in the republic. Throughout Ukraine local elections are scheduled to take place on October 25. 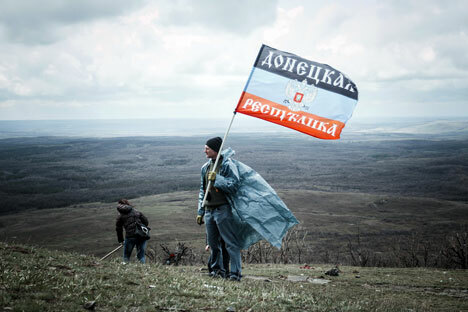 The current situation is similar to what happened in 2014 when Ukraine set the election date in the Lugansk People’s Republic (LNR, another self-proclaimed republic in eastern Ukraine) and DPR territories for December 7, but instead held them on November 2. As a result, the Minsk Agreements that had been stipulated in September 2014 were annulled. Now the Minsk II agreement is also threatened. "If the LPR and DPR hold their own elections, hiding behind separate norms of the Ukrainian legislature, no one will recognize the results," Sergei Taran, director of the Kiev-based International Democracy Institute, told the newspaper. "The self-proclaimed republics are only pretending to be implementing the Minsk Agreements and are creating various conditions for Russia to say that it is Ukraine that is not implementing them." Taran remarked that Russia has not admitted to participation in the conflict and did not refuse the Ukrainian government's proposal to sit down at the negotiating table with the LNR and DNR leaders. In turn, the Ukrainian Parliament has recognized LNR and DNR as "terrorist organizations" and the territories they control in Donbass as "occupied territory." In such conditions it is impossible to negotiate, concluded Taran. The Gazeta.ru online newspaper reports that the U.S. General Staff Committee has officially divulged the country's new national military strategy. Russia and China, along with North Korea and Iran, are uniting into a new group, defined as "revisionist states." China is being accused of excessive activity in the South China Sea, but the document stipulates that America does not see any particular threat from China. In Russia's case America's position is different: the authors of the military strategy note Russia's contribution to resolving various import security issues, but in general Russia is mentioned as a state that does not respect international obligations. Gazeta.ru underlines that the U.S. General Staff Committee excludes a direct conflict between the U.S. and each of the above-mentioned states, yet it believes that America and its allies must exercise influence on them. "Russia is mentioned as a threat," said Vasily Kashin, expert from the Center of Analysis, Strategy and Technologies, an independent research center based in Moscow. "With this being fixed it means that previous actions and steps will not be considered as a series of accidents and Russia's role is now determined for years to come." In Kashin's view, the U.S. is being cautious about China. "Unlike Russia, China can indeed become a global competitor for America, but if the U.S. openly announces this and recognizes the threat, it will affect the large business interests and lobby structures," Kashin concludes. 3. Venezuela is seeking common ground with the U.S. The Kommersant business daily writes that after having reestablished diplomatic ties with Cuba, the U.S. government can now turn its attention to Venezuela. Washington and Caracas are holding secret talks on how to exit a period of diplomatic tenseness that has been ongoing for several years. The first result of the talks could be the appointment of ambassadors, since the U.S. and Venezuela have not had relations at this level since 2010. Experts believe that both sides are interested in the normalization of relations. A breakthrough on the "Venezuela track" could become the second recent victory for the Obama Administration in Latin America. Venezuela urgently needs to find a way out of its serious economic crisis, which has undermined the government's position. "The country is still more or less afloat thanks only to help from China and to a much smaller degree, Russia," Viktor Semenov, lab director at the Latin America Institute at the Russian Academy of Sciences, told Kommersant. However, Semenov doubts that relations with the U.S. will improve greatly while Nicolas Maduro is the president of Venezuela. A change can only be expected after the December parliamentary elections, which the opposition believes will be the decisive battle with the political heirs of Hugo Chavez.